They pieced together the details later. At first, the things the Rabbi said didn't seem to have more, or less, weight than any of the other teaching he usually offered between the blessing of the wine and bread and the meal. The teachings were always challenging, illuminating, sometimes perplexing. They were all those things, but even when they didn't understand at first, there was always a sense of meaning. When it came to the betrayal, the meaning came later. Of course it did. The memory prompted debate. Some said that it helped everything make sense. Others, still full of grief and rage, wanted to punish the traitor. Many nights, after the evening meal and before sleep, the dreamers would imagine elaborate punishments for him. They would use his name as an epithet. They would spit when he was mentioned. They would say that everyone deserved forgiveness, except for him....and sometimes even by extension for those whose instrument he proved to be. Calling someone a "Pharisee" became an insult, in the same way calling someone by the ancient insult of "Philistine" had weight. That intimate betrayal still affects us, profoundly. Holy Week, in the first days, express the close relationships Jesus enjoyed with his friends and followers. There was the dinner, and Mary's jar of nard, in Bethany. There was the encounter with those Greek proselytes in the city. Then, when things seemed to be going well enough, there was that night: the night of the intimate betrayal. One moment he was with them, all eating from the common bowl and sharing the first seder of the week. The next moment he was gone, and they would not see him again until that moment in the garden, that fatal kiss. Then, as it is every week, we struggle to find meaning and to overcome the paralysis of grief. 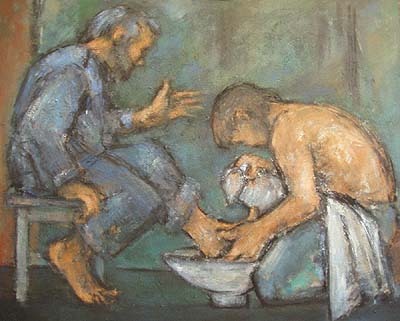 We bear witness again to his arrest after that Passover gathering at which he rose from the table to wash the feet of his followers as a memorial and commandment that we should love AND serve each other. We huddle in fear, denying that we follow him until that accusatory rooster cries out our little condemnation. 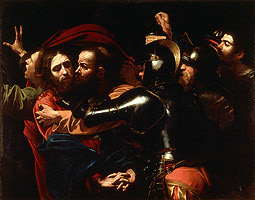 We hang back in the crowds as they press in and jeer as he is sentenced to the cross, to the scandal of a public death. We stare through tears as he breathes his last. We stand mute and quiet as his body is lowered, tenderly, by Joseph of Arimathea and wrapped by the women who cared for us all. We find enough strength, some of us, to roll the stone and seal the grave. We find enough resolve to hide. That is why we work to remember, in excruciating detail every year since that year, what happened after the intimate betrayal. It turns out that it all hangs together. Like the Master's teachings when he walked with us as a man. 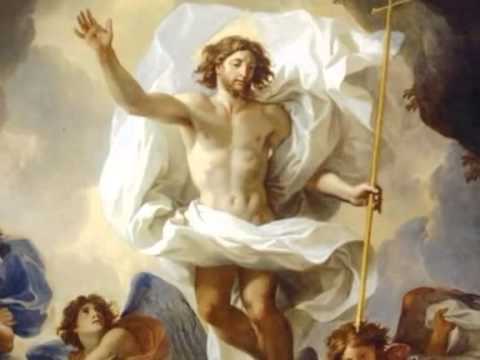 It makes the title "Son of Man" now full of weight, meaning....and grace. The infinite grace of someone who was betrayed becoming the one who saves ALL through his full embrace of all that is rejection, scandal and death in order to transform it into the things that save humanity from that time forth to evermore. What began with an intimate betrayal has been transformed by the love of God in Christ to the seeds of infinite grace. Perhaps then, we can find forgiveness for each other. Perhaps someday we might even begin to find forgiveness for the traitor, to speak his name with the same love our savior uses when he calls him by the name he uses to testify to a savior's knowledge and forgiveness: Judas. Brother. Beloved. Betrayal to Grace. Now, in the next three days, we find that none of our darkeness is so far off that God's love cannot overcome it with the light of the rising Son.